No thorns allowed on Rotary delivery day. "It was another record-breaking year for the sale. Last year, the Rotarians sold 1,325 dozen roses." This article was originally published in the CDA Press on oct 21, 2017. The love of newlywed couple Warren Swartz, 89, and Joanne Anderson, 78, has blossomed to melt the hearts of everyone they meet. "I was so shocked to fall in love," Anderson said, smiling as she held her husband's hand. "To see how people respond to love is like, 'Oh my goodness.' It’s really an amazing thing." 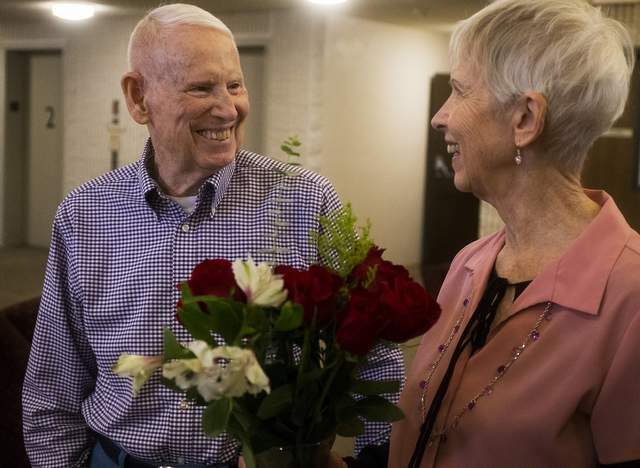 This love was discovered by members of the Coeur d'Alene Rotary Club, who could not resist bestowing a gift of red roses upon the sweet couple, who married on Aug. 30 after courting since last fall. “They’re incredible to choose us,” Warren said with a chuckle. "We feel really honored," Anderson said. "This is so exciting." Two Rotary members visited the couple Friday morning at the Grove at Orchard Ridge as part of Rotary's annual Rose Sale delivery day. 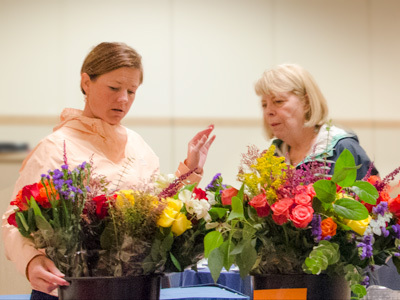 Ann Johnson, who is also the executive director of the Village at Orchard Ridge, joined fellow Rotarian and United Way of Kootenai County executive director Mark Tucker to present the roses to the happy newlyweds. "After all of the collecting and selling and work behind it, it’s nice to see the smiling faces of the recipients,” Tucker said. Swartz and Anderson said they'd keep a rose for themselves and one for Swartz's daughter, who was celebrating her birthday, and give the rest to others to spread the love even further. "It's a chain reaction,” Anderson said. “You don’t realize how you do your little part and everyone else will follow." About 16,000 roses went out into the community during the delivery day of the Rotary Rose Sale, which is in its 28th year. It was another record-breaking year for the sale. Last year, the Rotarians sold 1,280 dozen roses. 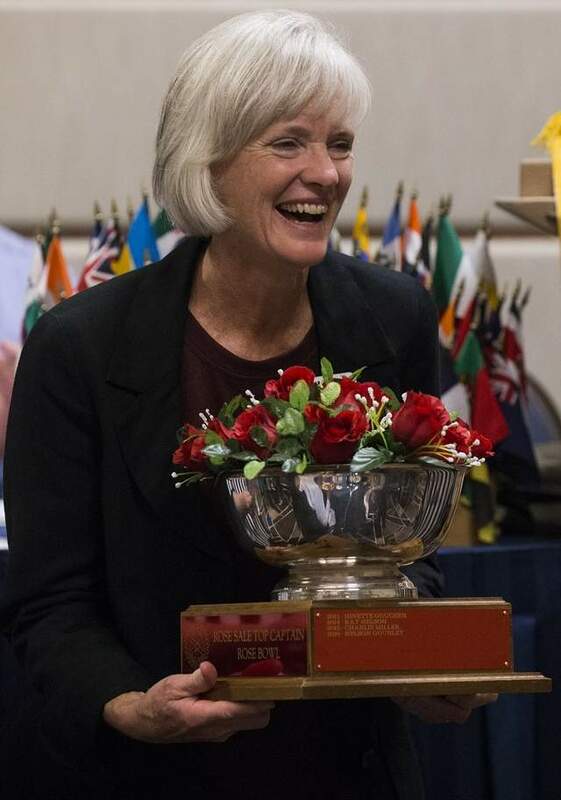 "This year, we've done it again, and even I'm astonished at the outcome," Rose Sale chair Lucinda Ade announced at the Rotary meeting after the deliveries were made. "We sold 1,325 dozen roses this year." That brings the total 2017 sales to well more than $45,500 that Rotary will put back into the community. More than 80 dozen roses were delivered to brighten the day of people at 10 different charities, including ElderHelp of North Idaho, Safe Passage, Trinity Group Homes and St. Vincent de Paul. The funds that paid for those roses will support a number of projects, including Coeur d'Alene Summer Theatre's program to provide show tickets to members of the Boys and Girls Club, North Idaho Family Group's mission to develop an online directory of crisis resources, Woodland Middle School's art projects to help the homeless, and many more. "This has been an extraordinary year for the Rose Sale," Ade said. "There is amazing generosity in our club and in the community."